What kind of communist was he? He belonged, he explained in his autobiography, Interesting Times , to the generation for whom the hope of a world revolution was so strong that to abandon the communist party was like giving in to despair. But he must have been tempted. After the Soviet invasion of Hungary a letter was sent to the Daily Worker, then the party daily. It was signed by Hobsbawm as well as other party intellectuals such as Christopher Hill, E.P Thompson, Ronald Meek, Rodney Hilton, Doris Lessing, and the remarkable Scottish poet  Hugh MacDiarmid (who, in a somewhat eccentric way, is supposed to have rejoined the party over Hungary on the grounds that one does not desert friends in need). The letter declared that, ‘We feel that the uncritical support given by the Executive Committee of the Communist Party to the Soviet action in Hungary is the undesirable culmination of years of distortion of fact, and failure of the British communists to think our political problems for themselves…The exposure of grave crimes and abuses in the USSR and the recent revolt of workers and intellectuals against the pseudo-Communist bureaucracies and police systems of Poland and Hungary, have shown that for the past twelve years we have based our political analyses on the false presentation of the facts….’. Of course the party refused to publish it, so it appeared instead in the New Statesman. Other statements made at the time suggests that Hobsbawm, unlike perhaps the majority of his co-signatories, thought the intervention was a regrettable necessity, a kind of humanitarian intervention ante litteram (we know the formula: if the USSR had not intervened, fascism would have prevailed). His works, which I started reading at university, were certainly not ‘communist’ whatever that may mean. Industry and Empire  was not the call to arms I had hoped. 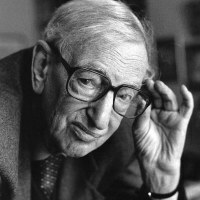 Hobsbawm’s contribution to the then raging debate on whether the standard of living of the working classes declined or improved during the industrial revolution – conducted in the 1950s and 1960s in journals such as the Economic History Review – was unimpeachably academic. The only slightly ironic tone Hobsbawm used was in his persistence in calling those who held the view that the conditions of life of the working class improved throughout the period of industrialization, ‘the cheerful ones’. This was a highly specialist querelle. It was somewhat outside what was then the dominant trend in British historiography whose chief concern was with political and diplomatic history rather than social and economic, with the short-term rather than the long-term, with the conjuncture rather than with structures. This is why communist and Marxist historians made a common front with others who were close to the French Annales school. 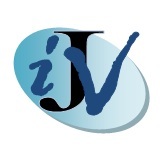 The outcome was the creation of the journal Past and Present . Like Annales the group around Past and Present were committed to a study of structures, analysis and synthesis. They liked comparisons. They liked the long term, the longue durée . Originally non-Marxist historians were reluctant to join the journal or to publish in it, but eventually they did. Distinguished scholars such as Moses Finley, Lawrence Stone, and John Elliott joined Marxists such as Christopher Hill, Rodney Hilton, E.P. Thompson and others. Hobsbawm supported the journal indefatigably  even managing to attend a meeting of the board in Oxford at a time when his mobility was seriously impaired. Hobsbawm, at least in his scholarly production, remained was quite distant from the preoccupation of so many ‘organic’ communist intellectuals. In his historical work he wrote nothing about the USSR (until the Age of Extremes ) and little about communist history. When he did he was fiercely independent. I remember a scathing review he wrote in New Left Review (March-April 1969) of the first volume of the ‘official’ history of the CPGB by James Klugmann (History of the Communist Party of Great Britain: Formation and early years. 1919-24) accusing him of being ‘paralysed by the impossibility of being both a good historian and a loyal functionary’ and contrasting it unfavourably with Paolo Spriano’s history of the PCI ‘a debatable, but serious and scholarly work’. Unwilling to defend communism – at least, not when the integrity of historical research was at stake – he did defend Marx and Marxism. Such defence, however, was seldom intransigent and he acquired his earliest renown and a distinctive voice as a historian on a subject with which traditional Marxist historiography (or, indeed, any historiography) had not dealt. I am thinking of his works of the late 1950s and 1960s on social banditry and pre-capitalist rebellions: Primitive Rebels  (1959) and Bandits  (1969) as well as Captain Swing  (with George Rudé) in 1968. Since then the scholarship on these themes has increased enormously yet it is difficult to encounter a book or an article on pre-capitalist social unrest or social banditry or millenarian movements without some reference to Hobsbawm. These references were initially deferential, then, with the passing of time, less so – yet his work could not be ignored, something he recollected with some satisfaction in the interview, one of the last, he gave to Simon Schama for the Archive on 4  on the BBC. Given the success obtained with bandits, primitive rebels, anarchists and other adorable creatures, other, lesser historians would have continued to plough that particular furrow, producing further articles and books on a theme of such wide interest. Hobsbawm was more intent in scattering ideas on a far broader canvas. And he did. His four volumes on the history of capitalism from 1789 to 1991 will remain a monument of haute vulgarization (a term occasionally used as a pejorative, but Eric gloried in it: it meant that he was not writing just for the academy). His Nations and Nationalism since 1780: Programme, Myth, Reality  (1990) echoed his profound dislike of nationalism and of identity politics. His Echoes of the Marseillaise  (1990) was levelled against Alfred Cobban whose revisionist The Social Interpretation of the French Revolution (1964) had preceded the better known work of François Furet (Penser la Révolution Française 1978) which had become all the rage as France prepared to celebrate the Revolution. The last book published while he was still alive (he was preparing a volume of his writings on cultural matters), How to Change the World: Tales of Marx and Marxism , collects many articles and essays published elsewhere and many that had been published in Italian but not in English. Some were new. All were centred on Marx (and Engels) except for two on Gramsci.